There's always been something strangely enjoyable about the face-scrunching discomfort invoked by this Canadian prog/thrash band's dissonant riffs and ugly chords. The loss of former lead guitarist, Piggy, could have quite easily prompted the band to lose this signature sound. 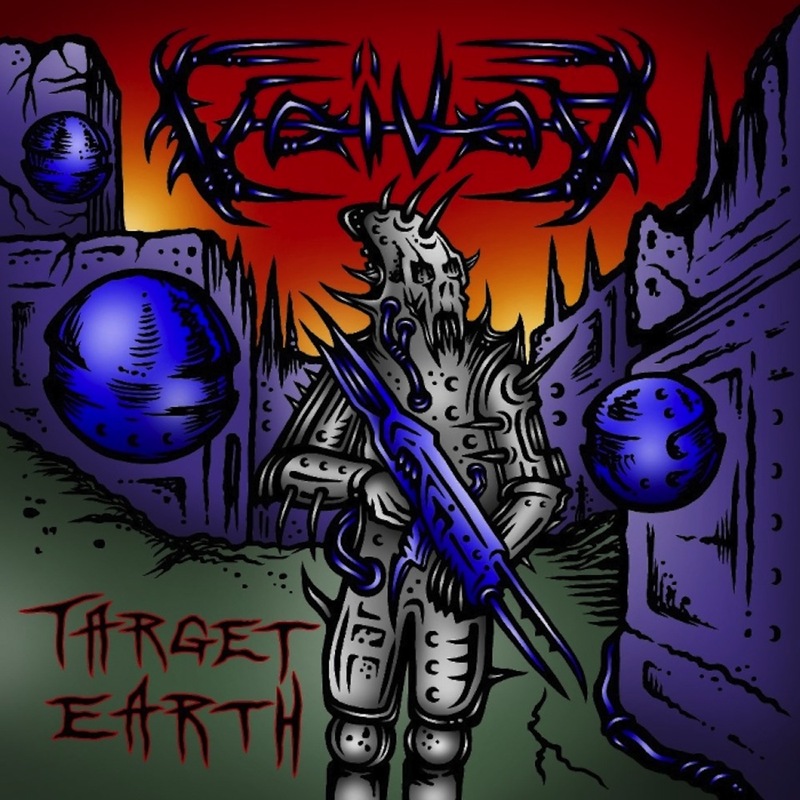 Thankfully this has not been the case - from stomping sour lead riff of title track 'Target Earth' to the slow melancholy murk of closer 'Defiance', this new record continues to be just as much of an astral headbanger as its predecessors, jazzy sweet notes peeking through moments of evil atonality. The drumming is ferocious and the tempo is excitingly unpredictable, satisfying grooves coming and going. I also particularly like Denis Belanger's snarled vocals, harsh and punkish but melodic when they need to be. 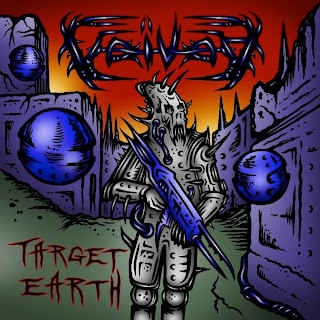 All in all, it's classic Voivod - you could criticise them for not pushing their sound further, but personally I'm just glad to hear they've still got it.